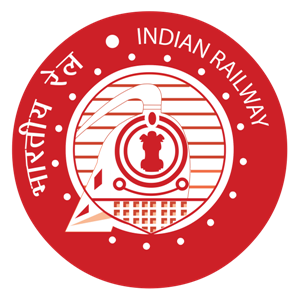 Railway recruitment board invites online applications from the eligible candidates for various posts under the recruitment of RRB NTPC 2019. I saw many of the candidates are looking for RRB NTPC 2019 Notification In Hindi PDF Download. Here I am providing the direct link of this notification in both Hindi and English. There are many posts around 45 thousand including all the Group – C posts. The RRB NTPC 2019 Exam date is scheduled to be conduct in the month June to September 2019 in different batches. There is no exact RRB NTPC 2019 Exam dates are released with notification but the rough idea about exam dates are given i.e. after June 2019 or we can say after assembly election. All the candidates who are eligible in this RRB NTPC Exam must apply before the last date to apply online i.e. 31st March, 2019. Once official notification of RRB NTPC 2019 has released by Railway recruitment board RRBs and started online applications, candidates are looking for where they find official notification in hindi. RRB NTPC 2019 Notification In Hindi PDF Download is available here at the end of the post. There are total 44531 vacancies are commenced in this railway recruitment for the posts of Non Technical Popular Categories (NTPC). Candidates must have minimum education qualification of 12th or its equivalent to graduation from any govt. recognized university. If you are also looking for railway job then here you must read the RRB NTPC 2019 Notification In Hindi and check whether you are eligible or not. If you’re eligible then do not miss the chance of applying for this RRB NTPC 2019 Exam. Once you download the above notification pdf then read it carefully. Don’t ignore any important instructions given and check your complete eligibility and criteria to appear in this recruitment. RRB NTPC 2019 Notification PDF Download is available in both Hindi and English. Read it in the language you feel comfortable.